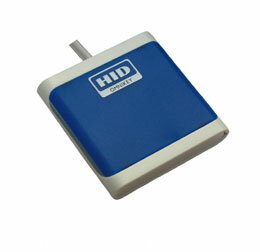 The Omnikey 5022 CL from HID is a 13.56 MHz contactless smartcard reader that supports a broad range of contactless credentials including iClass, MIFARE, MIFARE DESFire and Seos. Providing Windows Plug-and-Play support, this reader can be seamlessly integrated into most end-user environments with little to no administration. The Omnikey 5022 CL is compliant with ISO specifications 14443 A/B and 15693 and is ideal for use with PCs and workstations, as well as thin and zero clients. Note � although fully CCID and PC/SC compliant, this reader is not 100% backwards-compatible with the previous model (Omnikey 5021 CL) when running software that uses the extended API, such as reading iClass cards. Please therefore check compatibility prior to ordering, or purchase the earlier model if not sure.